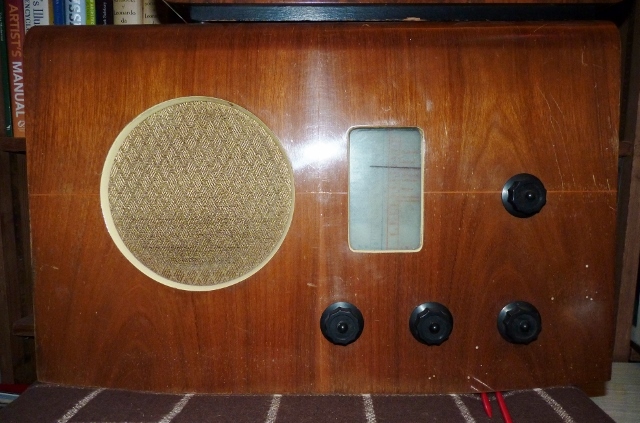 Busy making space for radios. Some of our vintage this and that has got to go. 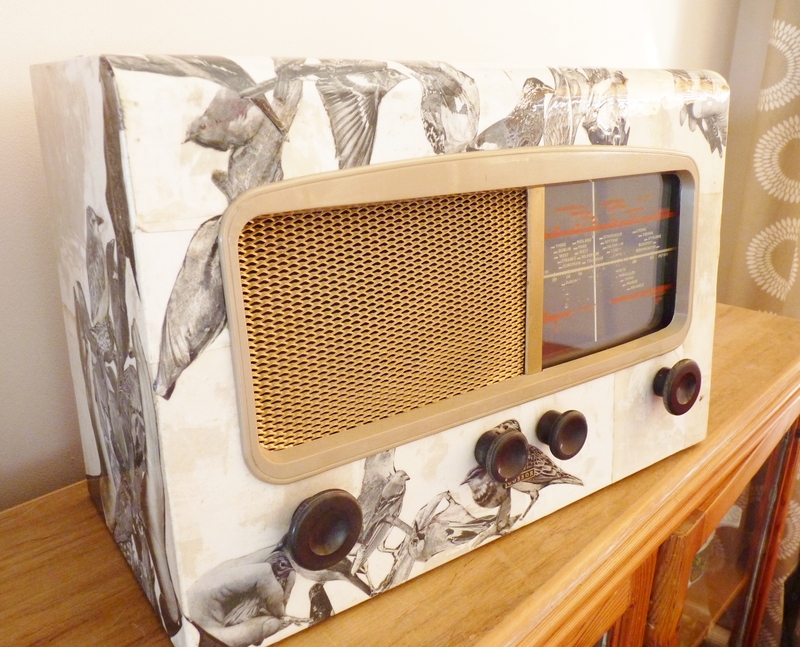 After an extended period of extreme dithering, we’ve finally started adding to our Etsy shop. 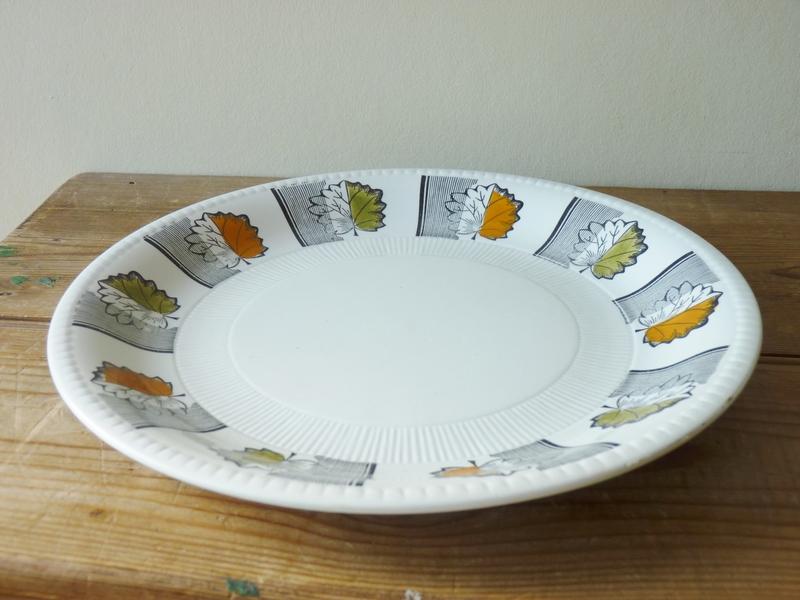 First up is a set of 4, Kathie Winkle Woodland plates, in the Riviera Shape from 1969. 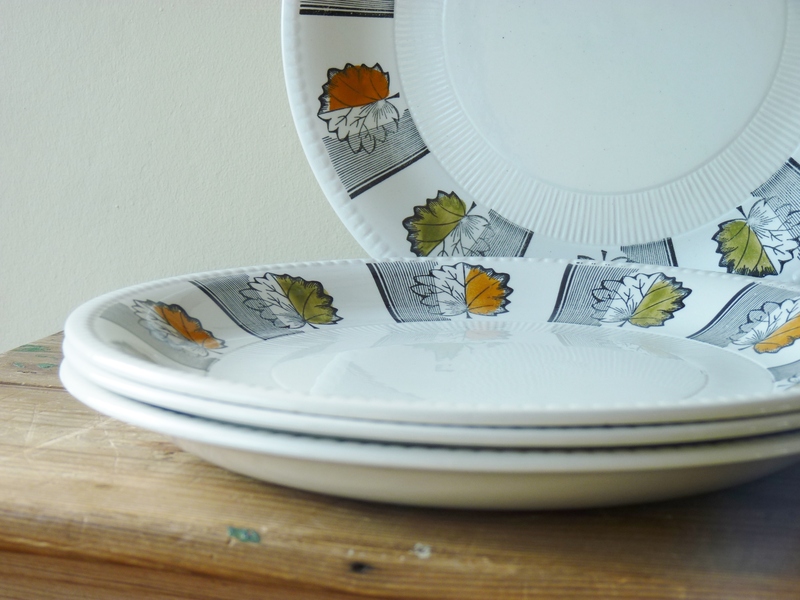 Kathie Winkle is a very well-respected English designer who produced many designs used in mass-production from the late fifties until the early seventies. 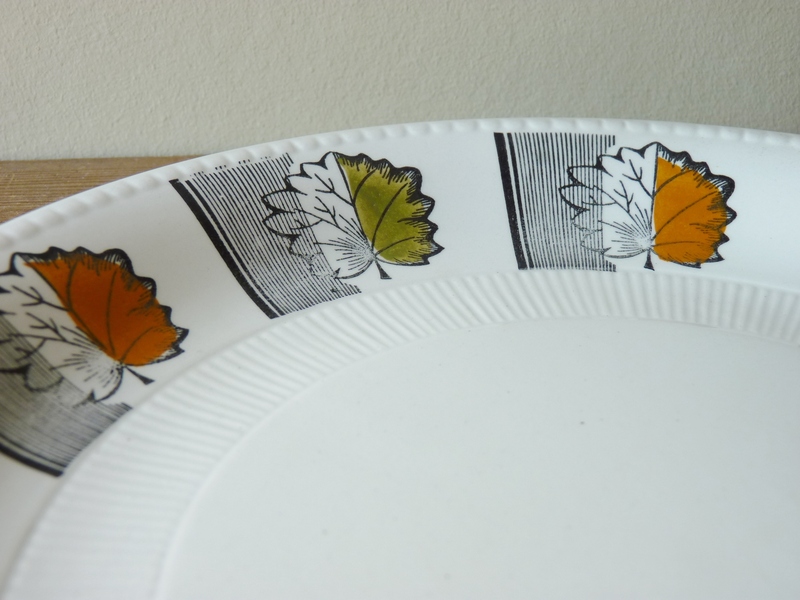 Kathie’s Woodland design has stylized Elm leaves coloured with autumnal orange & greeny-yellow leaves around the plate edge, stamp outlined in black and then coloured by hand before glazing. 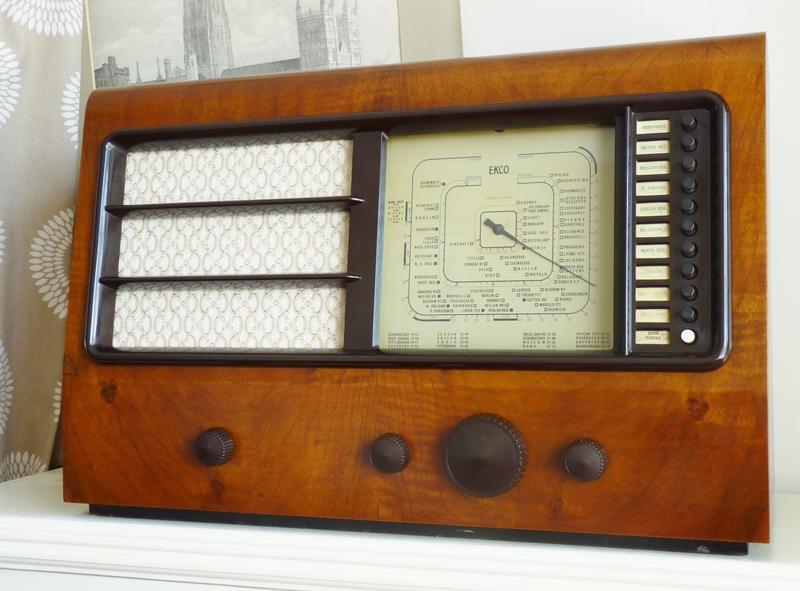 This is a less common pattern which is a great example of mid-century British design. 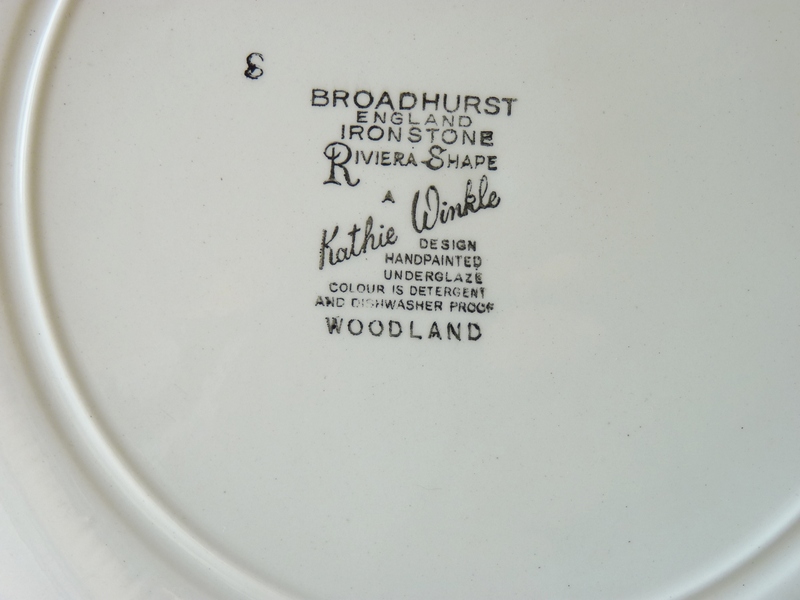 Marked on the back of each plate – Broadhurst, England, Ironstone, Riviera Shape. A Kathie Winkle design. Handpainted Underglaze. Colour is detergent and dishwasher proof. 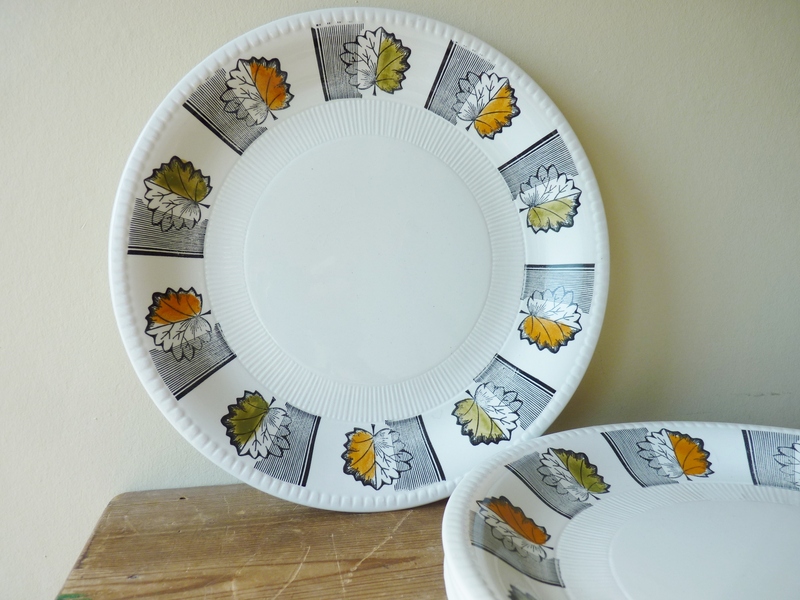 All four plates are in good vintage condition. 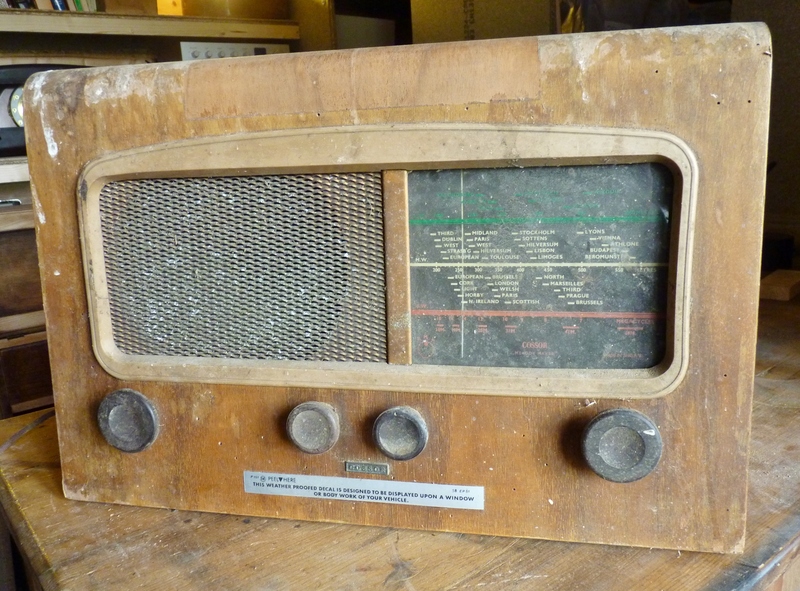 Some minor sign of wear but no chips or cracks. 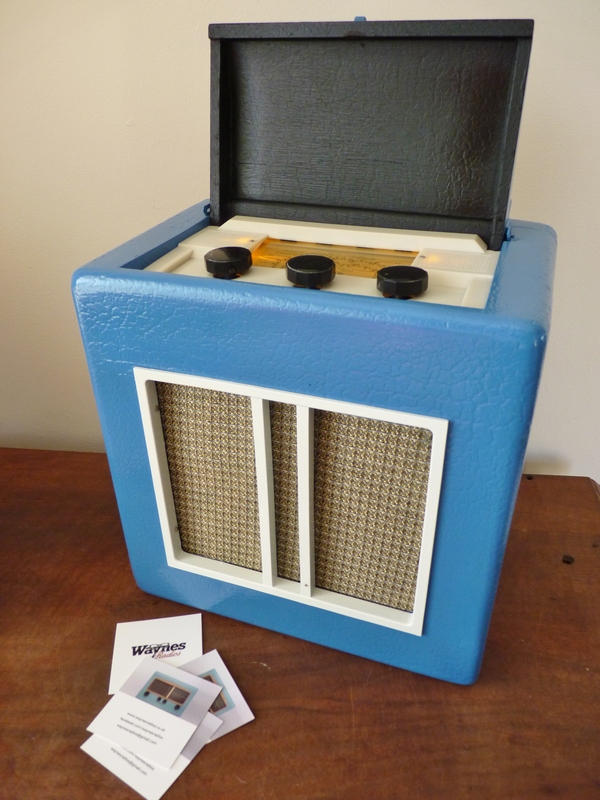 Take a look at our newly restored iconic Transistor Radio designed in 1958 for Pye Ltd by the inspirational designer Robin Day. 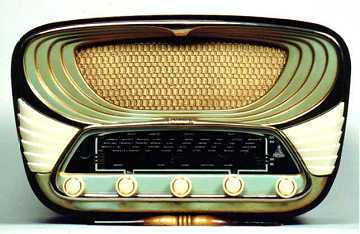 This sleek minimalist design was made in anodised aluminium, leather and plastic. 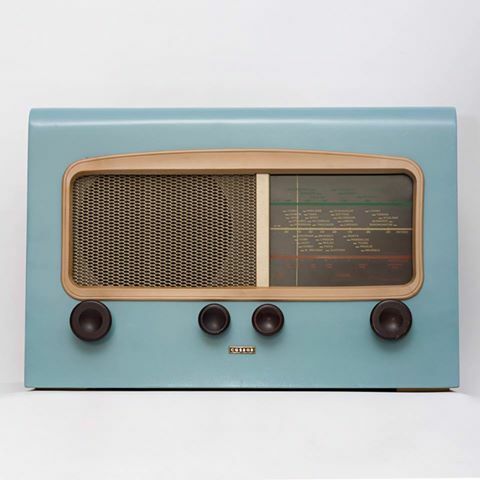 Just like his furniture, Robin Day’s radio designs were way ahead of their time. 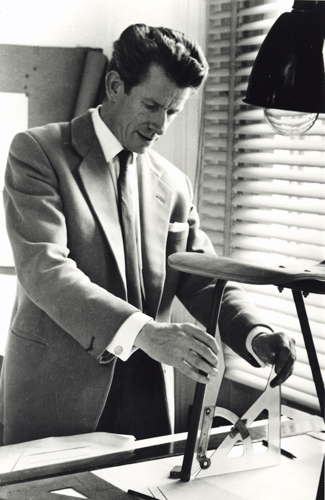 Robin Day is regarded as one of the most influential British designers of the 20th Century. 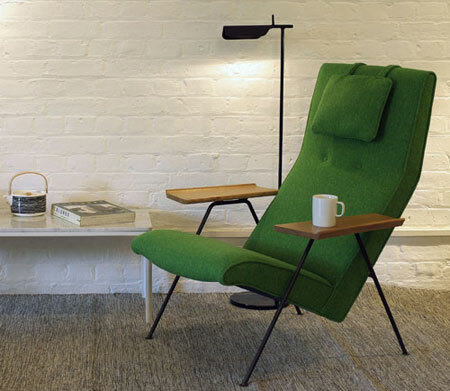 Although perhaps best remembered for his polypropylene moulded stacking chairs designed in 1963 and sold in their thousands, he was a massive influence on modern post-war design. 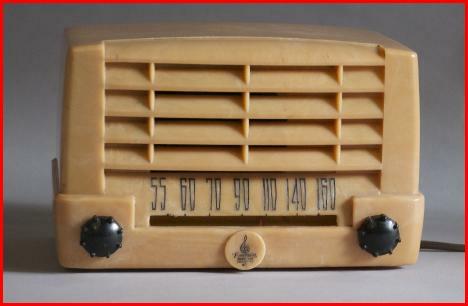 From 1957 to 1965 he also designed radios, radiograms and televisions for Pye Ltd.
“There’s this vulnerable planet of ours with finite resources. Architects and designers have, I think, a fair responsibility for conserving energy and materials and making things durable”. 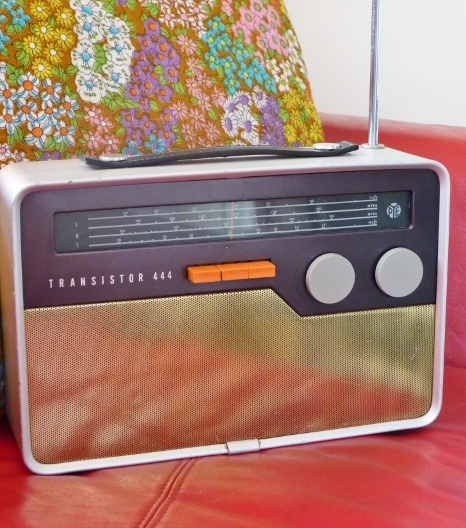 Fifty three years later whilst millions of poorly designed transistor radios have fallen by the wayside, this little beauty is still going strong. 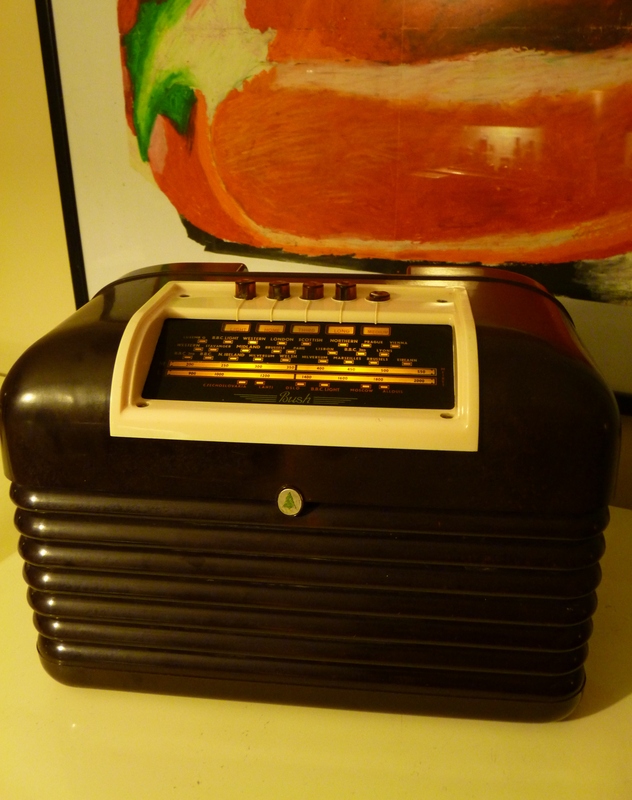 It may have temporarily dropped out of fashion, sometime around the 80s when the world went slightly mad, but is now back once more to its rightful place as an object to be desired, which is appreciated for both its function and its style. 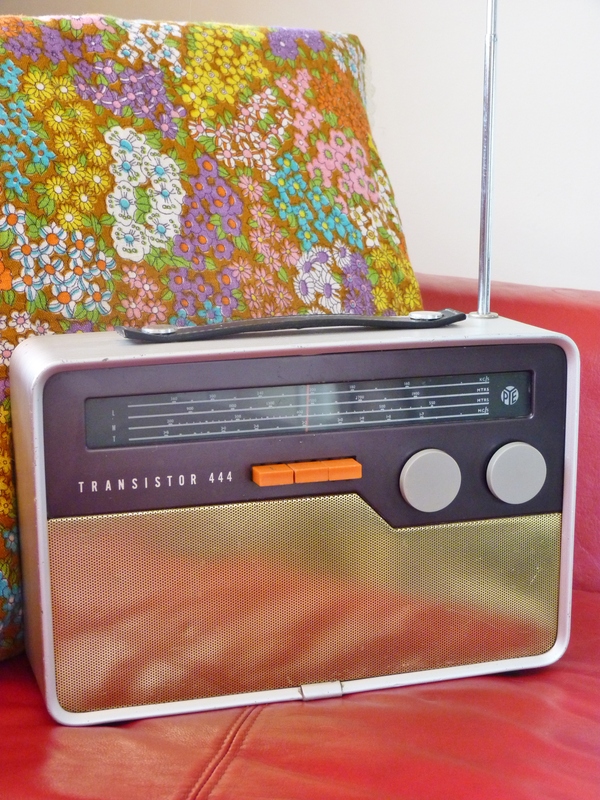 If you want one of these chairs, available from twentytwentyone, the Transistor PYE 444 will be the must have accessory.